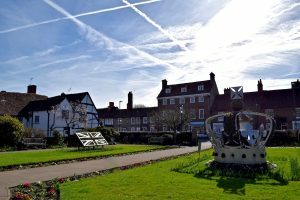 Are you planning to set up your own business in Amersham? Or you already own your business in this area? Every business needs an auditor to manage the finances. You also must be looking for well-equipped and cost effective accountants in Amersham. Don’t worry, that’s where Miranda Management and Accountancy services Ltd. come into the picture. We are located in Amersham, London. And we are here to provide you end to end solutions for all your accounting needs. We have highly motivated and committed professionals to ensure that your business functions smoothly. Why Choose Miranda Management and Accountancy Services Ltd.? What makes Miranda Management and Accountancy Services Ltd. different from the rest? We started as a small business and we understand the requirements of other small businesses. We have helped a number of Startup companies to achieve their business goals and gained their loyalty in return, which is our biggest achievement! Our clients are our priority and we are committed to providing them with quality service. Our accountants have specialised in the areas of taxation, payroll management, individual and business tax services, annual reports, bookkeeping, VAT’s etc in Amersham. They are dedicated and hardworking. Hence, Our accountants in Amersham will work round the clock to understand your special business needs and provide you with personalized services for your maximum benefit. So, if you are located in Amersham, your wait is over. Feel free to drop by our office and have a chat with one of our consultants.